Before we say a final goodbye to Fashion Pakistan Week (FPW) A/W 2012 let’s go over what we took away from it in terms of the major creative trends highlighted that will no doubt make their way from the runway to the stores and into our closet. After all one of the most important aspects of fashion week is to connect with the consumers at large and relay the designers’ creative thought process to their audiences. FPW provides a unique platform for designers to influence and create awareness about not just their brand but also their mood for the season. 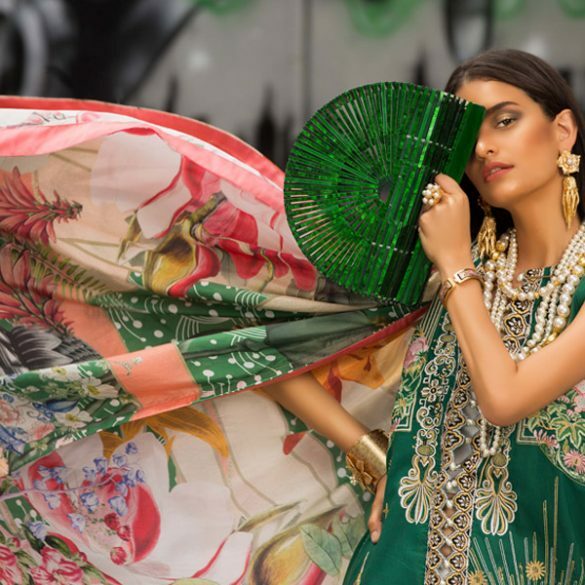 All Eyes on Asia: An Asian empire state of mind was a popular inspiration this season uniquely captured by Sanam Chaudhri, Shehla Chatoor, and even Maheen Karim with her use of Thai silk brocade and floral oriental accents. Sanam Chaudhri cherry picked Japanese Shibori dyeing techniques fueled with martial art cultural silhouettes involving kendo and Japanese matador style trousers while obi belts cropped up throughout her most vivid portrayal of samurai chic. We are sure to see the fiery red and indigo primal print go viral. While Sanam focusd on the warrior Shehla Chatoor delved into the soul of the Chinese Orient steeped in antiquity and historic symbols. Her Chinoiserie collection was a manifestation of the imperial Chinese mythical landscape that has always been at the root of her inspirations. Talking to Secret Closet about her capsule collection Shehla commented, “Fascination with the Orient has always been associated with my brand, this capsule collection will showcase delicate prints from the Orient molded and draped to perfection. Each outfit is fastened with at least one element from the Forbidden City be it faux jade or metallic dragons!” With its rich sartorial traditions the east is definitely in play this season. Caped Crusaders: Another popular choice seen on the catwalk was the cape, including long cloaks as well as shorter draped jackets and blazers. A perfect addition for winter, we love this look that sparks both drama and character. Outer layers were observed in several of the FPW showcases for both men and women. Bani D used it wonderfully as a warm winter flared jacket with patch work accents as well as a mid length coat with traditional Chitrali embroidery. Warda Saleem played with more formfitting bolero jackets with her delightful custom folklore prints and Maheen Khan struck contrasting chords with a feminine chantilly lace cape as well with a more dramatic geometric silk folded number. A highly versatile trend, there are countless way to sport the cape. Military Power: Maheen Karim balanced elements of military power with feminine beauty in a harmony of sorts. Maheen shared with Secret Closet exactly what she had in mind when she designed her ‘Luxe’ collection; a woman who sets trends rather than follows them. “Power Dressing was always my thing; I love to make women feel confident and uber glamorous! With my military chic A/W collection I wanted the Maheen Karim woman to stand apart from the rest. She is a classy strong woman with an air of confidence”. The gold armor shoulders and shield like neckline serve as symbols of strength. Trend to take away; confident power dressing. Peel the Onion: Another winter appropriate trend served on a platter at FPW was layers, particularly in silk. This style of constructing tiered silhouettes as demonstrated with the utmost finesse by both Sonya Battla and Misha Lakhani is a unique trend not to be confused with color blocking which is slowly fading away. Using solid colors with fluid uneven layers peeking through is our current new obsession. We were delighted by Misha’s modest maxi dresses that moved beautifully through the layers. Zaheer Abbas too focused on flouncing antique white monochrome layers that simply floated down the runway signifying an old world charm. Braids “R” Us: The charm of the east infiltrated to the hairdos as well at FPW with traditional side braids, particularly fishtail braids both loosely adjusted with bangs and pulled back tight seen sported by the models who were eloquently styled by Saeeda Mandviwalla of Toni & Guy. Rilli-licious: Adnan Pardesy put a modern geometric spin on the Sindhi rural handcraft of rilli patchwork with his collection, ‘Axiomatic’. The quilt style craft is widely in demand at the moment as it is exclusively sourced from villages. Pardesy employed his unique cross pleating and weaving techniques with rilli in youthful western shapes including jackets, hoodies, trousers and dresses thereby bringing forth a whole new dimension that exuded a playful almost childlike innocence. Rilli craft is the current rage and after FPW 2012, extends to western wear as well.